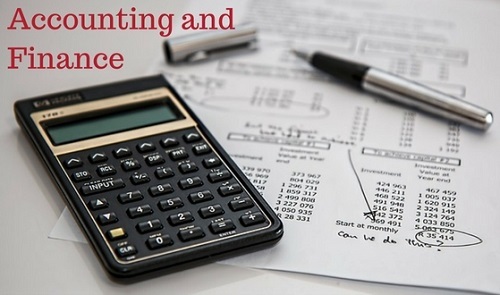 Financial management and accounting are very sensitive areas of your business, and most new entrepreneurs and small business owners struggle to manage this aspect properly. Lack of knowledge and resources in this area is likely to lead to blunders that will in turn result in business failure. A full 9 out of 10 startups will go out of business, out of which 19% is due to high competition, and 23% fail because they hire the wrong talent. But 29% of startup failures are due to insufficient capital. Get an Accountant to help you with everything from tax advice to auditing, bookkeeping, and basic accounting. The calculations and key ratios mentioned below will help you keep track of various parts of your business. Your accountant or Tally or whatever accounting software you are using will do all your financial calculations and show you the results, but you should still know what each one means. Break-even analysis: Is used to determine the point at which your business will start generating a profit. Knowing your break-even point will help you in a number of ways, including setting pricing, grown plans and managing inventory. The formula below gives you the breakeven point as the number of products or services required to break even. Margin: Gives you the percentage of profit for each sale. It also helps in making pricing and budgeting decisions, and is used to calculate your business profitability. Markup: Percentage of the amount contributed to the cost price of goods to reach the selling price. You can use this to set the price of your service or product, so that your pricing is not too low or high. Margin Versus Mark Up: The simple way of calculating the difference is by putting both figures side by side. Mark down: It is the percentage discount offered for a product. Markdowns are generally used during a sale or promotion for pushing out discontinued or surplus inventory, and to attract volume sales. Gross Profit Margin: A gross profit margin ratio gives the balance of profit for each rupee in sales before expenses payment. Net Profit Margin: A net profit margin ratio gives the balance of profit for each rupee in sales after expenses payment. Gross Profit Margin vs. Net profit margin: The difference between the net profit and gross profit is available to us on the profit and loss statement. Return on Investment: the ROI delivers the business efficiency in profit generation from the original investment provided by shareholders or owners. It also helps your lenders to determine the financial strength of your business. Current Ratio: The working capital ratio or current ratio calculates your business liquidity. This ratio determines how soon your business can convert assets into cash, and can be useful for deciding when to pay your current bills and liabilities. Quick Ratio:The quick ratio compares the total amount of cash + marketable securities + accounts receivable to the amount of current liabilities. Debt to Equity Ratio: Debt to equity ratio tells you about what kind of finance your business is more dependent on, such as equity or debt. Loan to Value Ratio: LVR is the amount for loan depicted as the percentage of assets that will be purchased or the market value of the property. The Accounts Receivable Turnover Ratio calculates your strength at collecting consumer debts, and a lower ratio denotes that you have to work more to collect your debts. The Accounts Payable Turnover ratio calculates your strength at paying your debts. The Inventory/Stock Turnover Ratio calculates your strength at turning over your stock. Gross profit is the profit you have made from selling your inventory. It doesn’t take into account overhead costs. Computing your gross profit is the section of completing profit and loss statement. (Net Sales – Cost of Goods Sold) ÷ Net Sales. You may not actually have to do all these calculations, but you need to be able to understand the reports and figures put in front of you by your accountant and the accounting software.